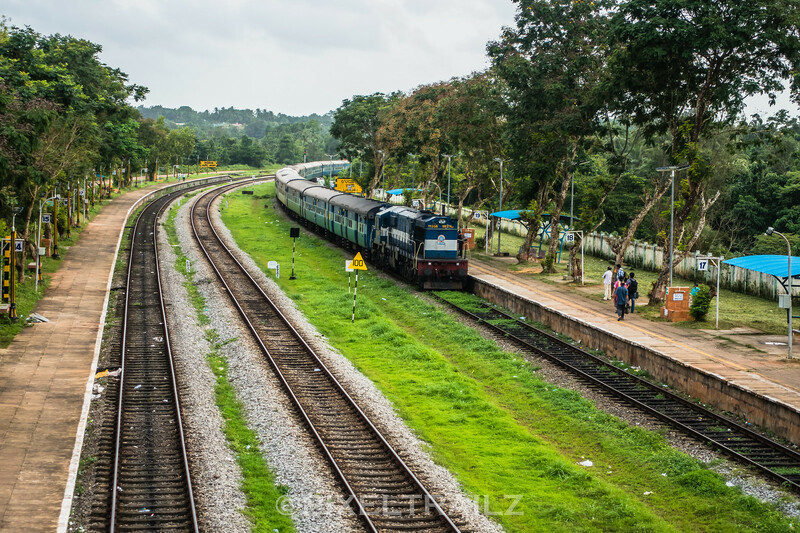 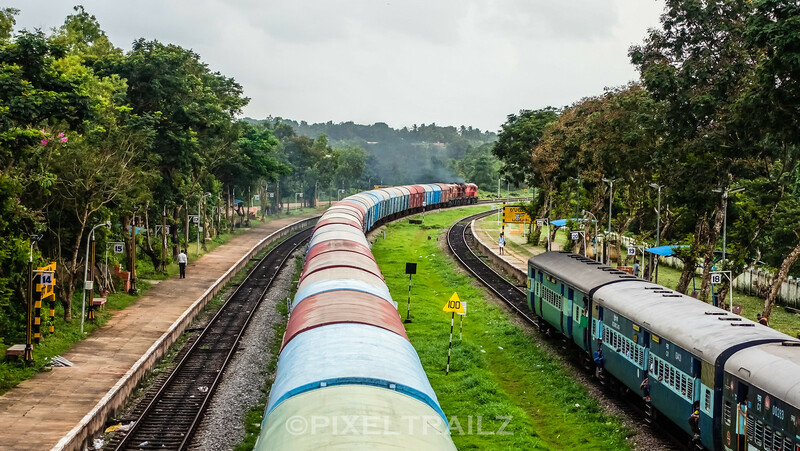 Mangalore – Mumbai, 12134 , also called as Rocket, enters a laidback and green Udupi station on a humid and cloudy monsoon evening. 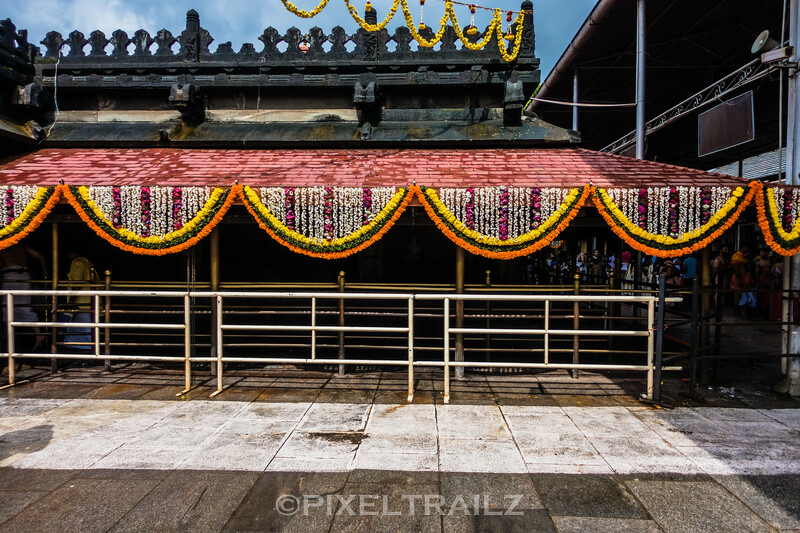 The Inner Praharam of Kollur Mookambika Temple, decorated and welcoming. 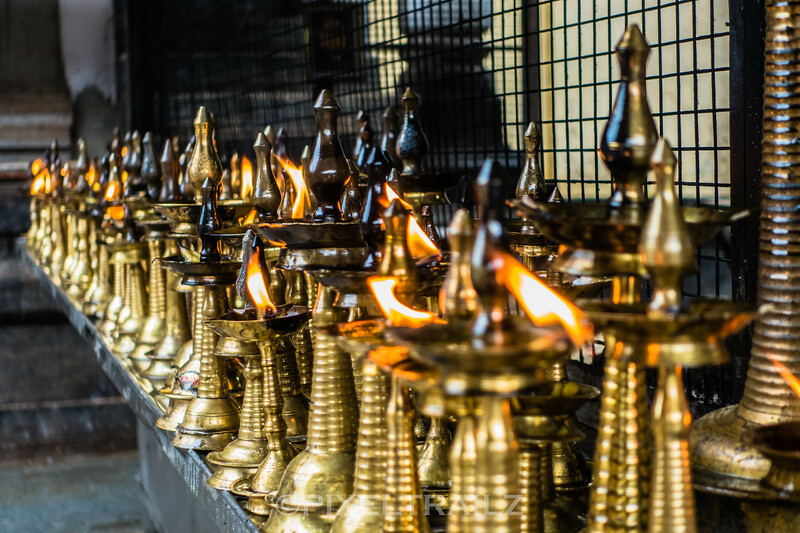 Nei Villaku, a traditional offering where the devotess light a lamp for the deity with Ghee.A closer look at the Nei Vilakku offering at Kollur Mookambika Temple. 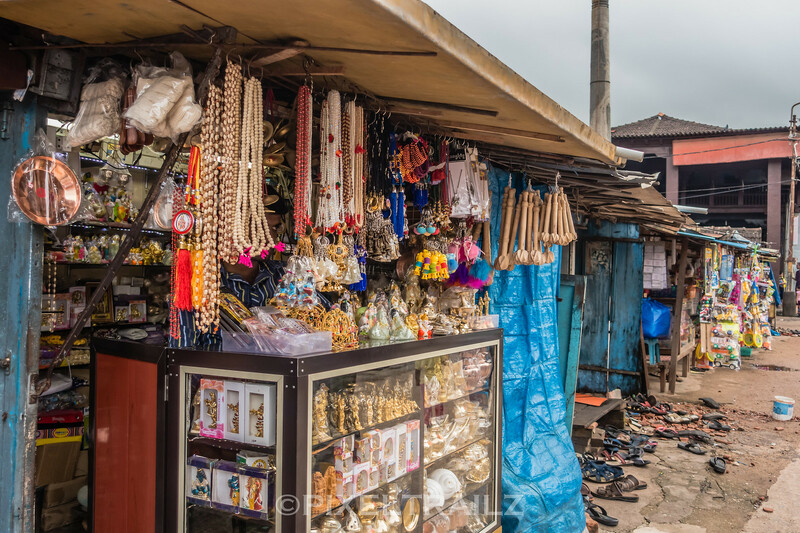 Temple side shopping also acting as a temporary chappal stand. 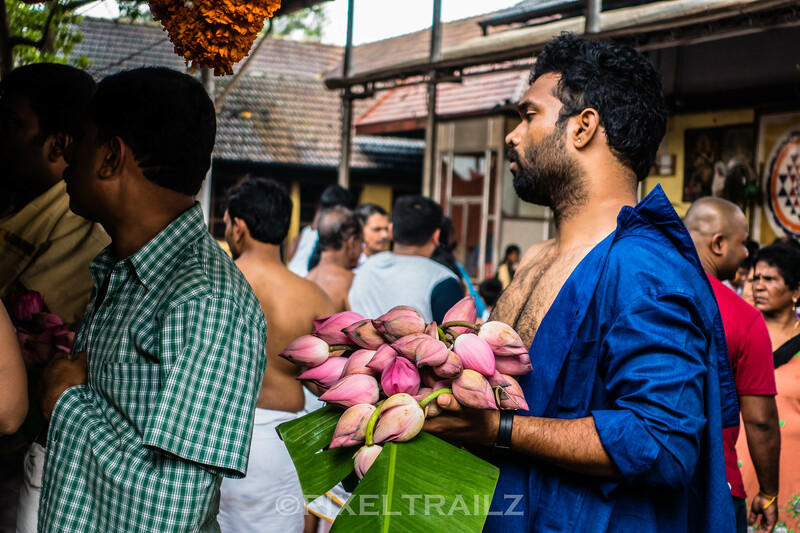 A devotee waiting to offer the lotus buds to the Goddess, Kollur Mookambika Temple. 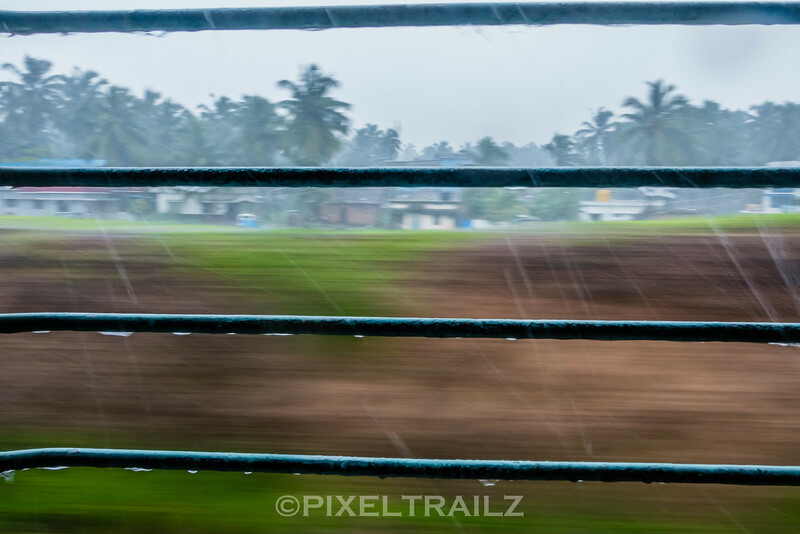 Rushing through lush green Konkan landscapes on a monsoon morning.